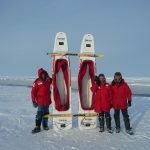 New and exciting Scientific Expedition of the Wind Sledge that during 74 days between December 2018 and February 2019 will cover 2000 km. from one of the last unexplored regions of the frozen continent. A geographical landmark when reaching the Fuji Dome, at 3,810 meters altitude, without motorized means. They will support temperatures of 50º below zero and below. 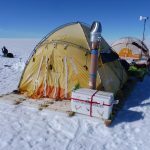 It is sponsored by the Prince Albert II of Monaco Foundation and Tasermiut SGE travel agency. First WindSled expedition with a true scientific objective, in which five research projects participate. 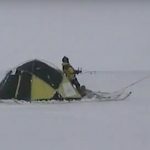 They travel 2,000 kilometers in 28 days, crossing Greenland from southwest to northeast. 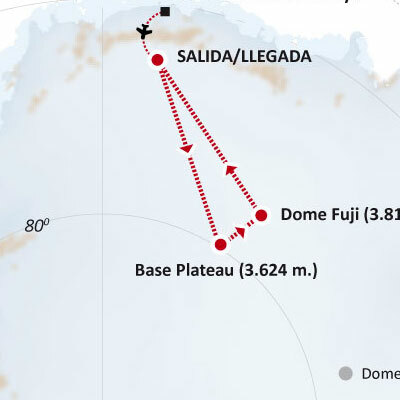 Larramendi ascends to Greenland’s highest elevation, at 3,240 m. of altitude, with the WindSled transporting 2,000 kilos of cargo: a route of 2,000 kilometers in 38 days. 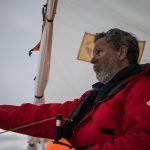 Ramón Larramendi and his team aboard the WindSled perform the first circumnavigation of Greenland. 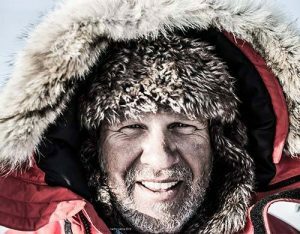 Expedition with the WindSled, reaching the Geographic South Pole. First time an Aeolian vehicle attains 90ºS. They traveled 3,500 kilometers in 38 days. Larramendi guided the expedition ‘South Pole without limits’, the first in history with disabled people reaching 90ºS. 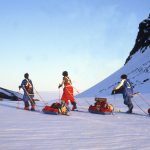 12 days of crossing with skis and sledges, a total of 250 kilometers. Larramendi guided the expedition ‘Polo Norte’ on the TV show “Desafío Extremo” for channel Four, accompanying the adventurer and presenter Jesús Calleja. 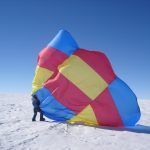 First Antarctica crossing with a wind vehicle, the WindSled. The team, led by Laramendi, covered 4,500 kilometers in 62 days. 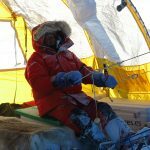 First to reach the authentic South Pole of Inaccessibility. It was the first crossing of Greenland from East to West in a wind vehicle. Larramendi traveled 700 kilometers. 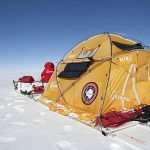 Expedition with a WindSled model on the South-North route of Greenland’s interior: 2,300 kilometers in 33 days, surpassing the record of distance traveled per day and speed in polar expeditions. 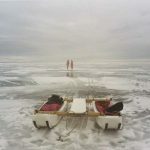 Crossing with a WindSled prototype of 2,225 kilometers in only 32 days. 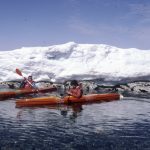 In this expedition, Larramendi and his companion Juan Manuel Viu, opened for the first time a north-south route on the Arctic island. It was the first great crossing of Ramón Larramendi with the WindSled, in which he traveled Greenland from south to north in 10 days, a total of 600 km. 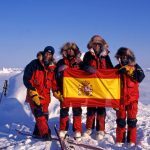 First and only Spanish expedition in history that has reached the Geographic North Pole from Siberia. 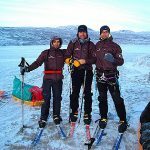 Laramendi and his companions traveled 1,000 kilometers on skis in 60 days. 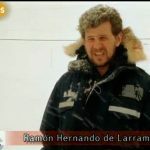 Ramón Larramendi and three companions, from the TVE program “Al filo de lo imposible” reach the Magnetic North Pole on foot, becoming the first Spanish arrival to that remote location. 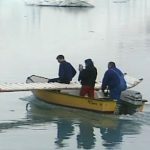 First crossing in history without mechanical means from Greenland to Alaska. 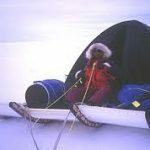 For three years, Larramendi traveled 14,000 kilometers through the Arctic with dog sleds, kayaks and skis. 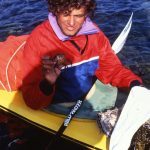 Ramón Larramendi and a companion culminate in 1989 the first Spanish route of the North-South coast in kayak, a total of 2,500 km in 85 days. 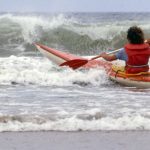 First circumnavigation in kayak of the Iberian Peninsula carried out alone by Ramón Larramendi in the summer of 1988. 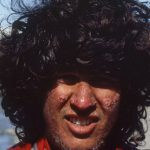 He covered more than 3,500 km. Trip that Larramendi initiated in Greenland and which took him, after seven months, to the Egyptian border with Sudan after crossing the European continent from the Arctic. It was the first Spanish expedition in history to the polar ice cap. Ramón Larramendi, along with another Spanish explorer, traveled 700 kilometers with skis in 55 days without external assistance. 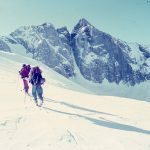 In 1985, Larramendi realized his first winter expedition of the Pyrenees with skis from the Mediterranean Sea to the Bay of Biscay in 53 days and without external assistance. 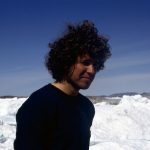 In 1985, Larramendi, aged 19, formed part of a pioneer group in Spain that crossed the interior of Iceland from west to east (Trans Iceland 85) on skis, through its three largest glaciers.